"War Department report on the Health of Abraham Lincoln and William Seward"
Publication of a report from Secretary of War Edwin M. Stanton to General John A. Dix issued at 3 a.m. on the morning after President Abraham Lincoln was shot and William Seward and his household were attacked. Stanton states that the president still lives but is not conscious, but that it seems Seward, his son Frederick Steward, and their household attendant may live. 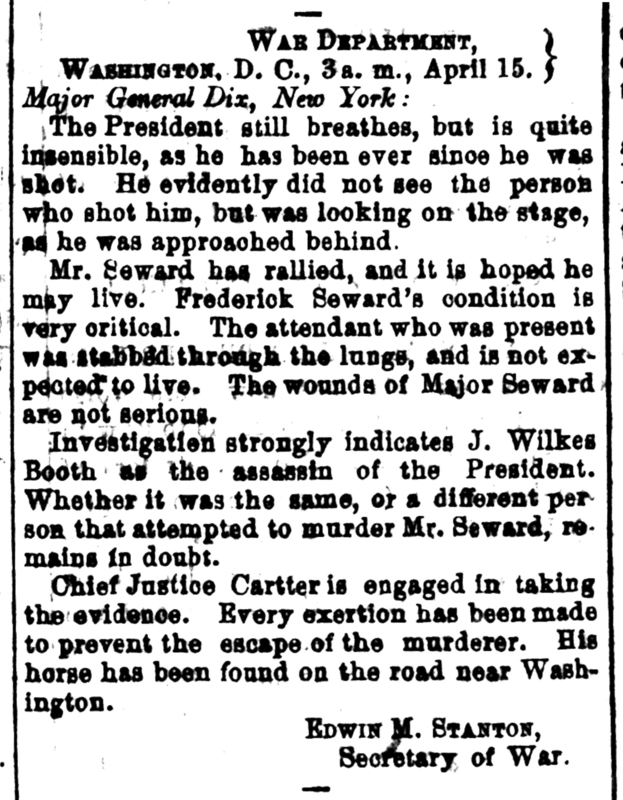 Stanton identifies John Wilkes Booth as the prime suspect in the President's assassination, but states that his connection to the Seward attack is uncertain. Stanton states that Chief Justice David K. Cartter is in charge of gathering evidence and Booth's horse has been found. The President still breathes, but is quite insensible, as he has been ever since he was shot. He evidently did not see the person who shot him, but was looking on the stage as he was approached behind. Mr. Steward has rallied and it is hoped he may live. Frederick Seward's condition is very critical. The attendant who was present was stabbed through the lungs, and is not expected to live. The wounds of Major Seward are not serious. 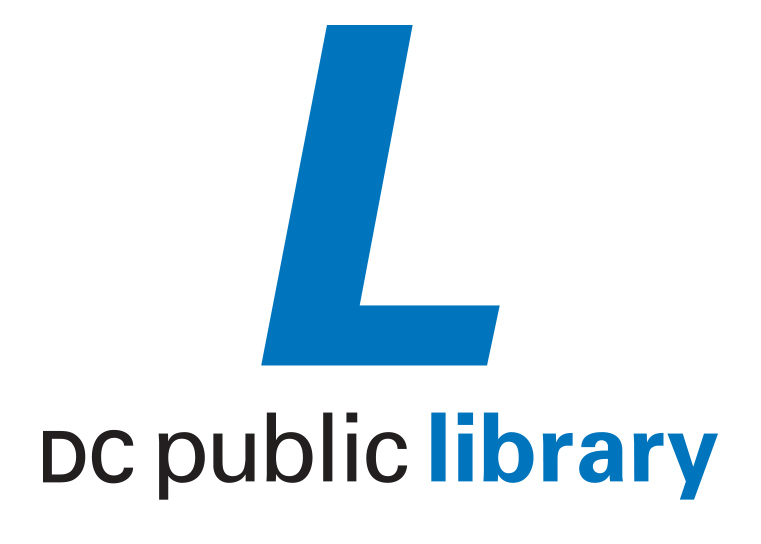 Investigation strongly indicates J. Wilkes Booth as assassin of the President. Whether it was the same, or a different person that attempted to murder Mr. Seward, remains in doubt.